2015 Year In Review Contest Winner! 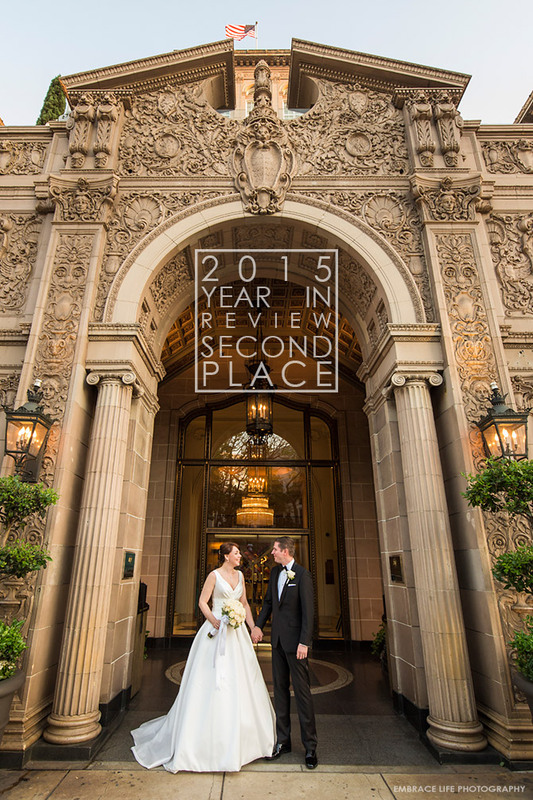 We are so excited to announce the winner of our 2015 Year in Review Contest! This year’s contest was the closest finish yet. The 1st Place photograph had just 3 more votes than the 2nd Place photograph. Needless to say, it was an exciting race to the end. This image of Jamie and her sister, Vanessa, was taken at Paradise Cove over Labor Day Weekend. Jamie planned this portrait session when she, Vanessa and their mom were on a girl’s trip from Washington. Since it had been about 8 years since having portraits taken all together, this trip was the perfect opportunity to get some updated portraits. 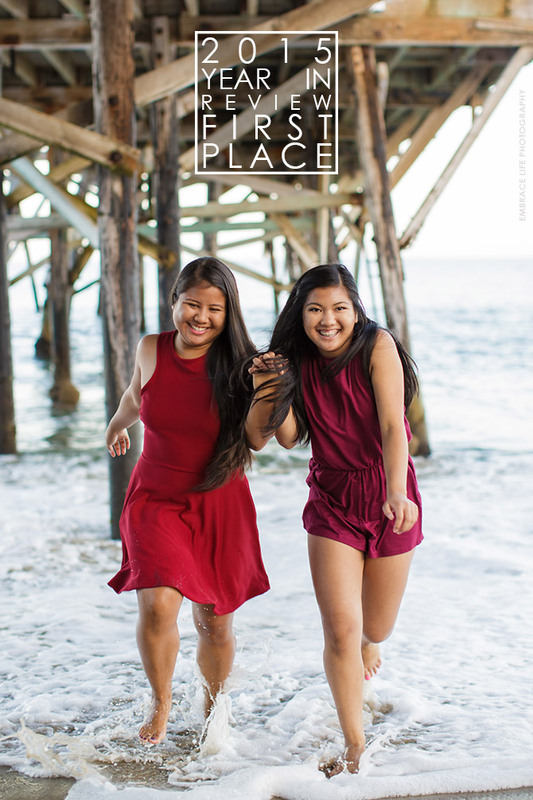 We chose this image as our favorite because we just loved the spontaneous, playful interaction between sisters. This entire series of the girls running from the incoming waves is so fun. Since their photograph was voted the best by our Facebook fans, they have been awarded a 16×24 Canvas print of their photograph. Congratulations Jamie and family! The 2nd Place Photograph comes from Louise and Ken’s beautiful destination wedding at the Beverly Wilshire Hotel in Beverly Hills, CA. Louise and Ken hail from the United Kingdom, but wanted to have an intimate wedding with about a dozen of their closest friends and family, and California was calling them. The Beverly Wilshire’s rooftop terrace for the ceremony and the Royal Suite for the reception was the perfect venue choice. However, it was the facade of the iconic hotel that made a perfect backdrop for our favorite image from their wedding. Simply breathtaking. The 3rd Place Photograph of baby Sage and her mom, Erica, just makes me happy. Just look at those smiles! I can’t tell you how much we love this family (we love you too Nick). Not only have we had the honor to have photograph their biggest milestones (engagement, wedding and newborn portraits), but we are so lucky to also call them friends. 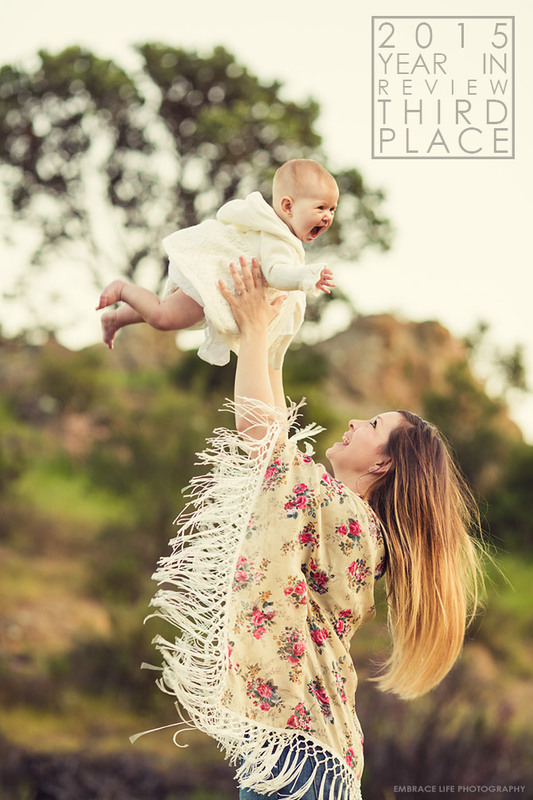 We had so much fun photographing Sage’s 6 month portraits at Rocky Oaks Park in the Santa Monica Mountains and, based on this photograph, I think they did too. You can still view our entire 2015 Year in Review, here, on our blog. 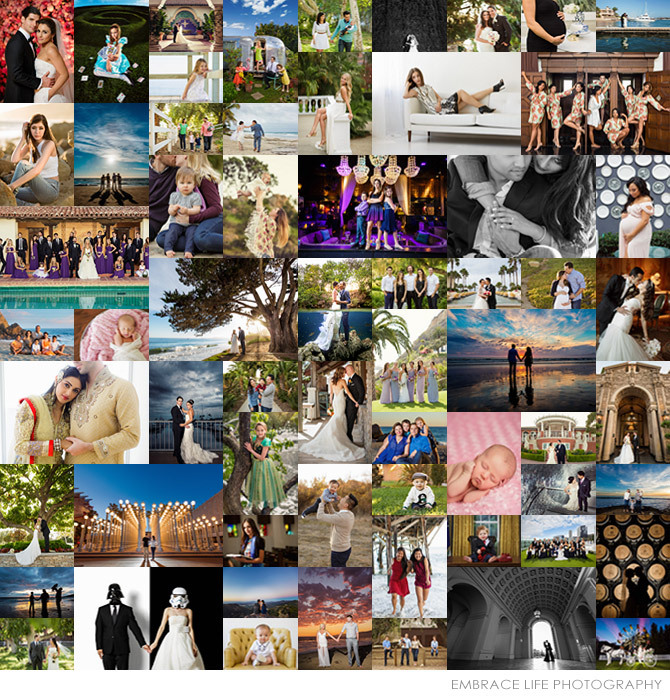 The winning voter was selected using random.org and has been awarded a One Hour Location Shoot at a beach in Malibu, CA or Paramount Ranch in Agoura Hills and one 8×10 print. Thank you everyone for voting!